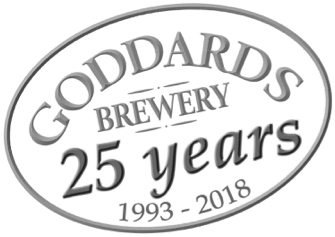 Goddards Brewery will be celebrating its 25th anniversary in 2018 and its founder Anthony Goddard sees this milestone as significant for himself and the business. He has now started the search for a worthy and suitable successor to take the brewery forward into the next 25 years. Goddards is ‘Isle of Wight Born and Brewed’ and one the country’s best established independent breweries. As well as providing an excellent range of real ales to pubs on the Island, it has an impressive distribution network across the UK. Sales to national supermarkets and multiples including Sainsburys, Waitrose, Tesco and Majestic is a growth area with regular ‘guest ale’ slots with numerous national pub chains such as Fullers, Greene King, Wetherspoon and Mitchells & Butlers. In 2017 Goddards started contract brewing for others and is one of only about 80 breweries in the country to have achieved the prestigious SALSA accreditation, a testament to the quality of its production process. Recently, this was further enhanced by a significant investment into a top-of-the-range bottling line. Previously the bottling process had to be undertaken on the mainland. The Isle of Wight has an unrivalled reputation for picturesque scenery, stunning coastline and a relaxed way of life; all an hour or so from the M25. Add to this an unusual and exceptional investment opportunity and you have the complete package. Goddards has a stable and loyal customer base, as a few more statistics demonstrate. Its top four pubs combined have sold over 1,000,000 pints, the top 11 pubs combined have sold over 2,000,000 pints, 15 pubs have each sold over 100,000 pints, 30 pubs have each sold over 50,000 pints and 127 pubs have each sold over 10,000 pints. In many ways Goddards has been one of the pioneers of the “craft beer” movement in the UK having started more than ten years before the term was even heard of in this country. As part of its celebration during its 25th year, the brewery will be bringing back an old favourite – GSB (Goddards Special Bitter). “It was the first ever pint that we brewed back in 1993 and I can’t think of a finer way of marking the occasion,” says the man who started it all 25 years ago.